It was at Olio Bello, a wonderful place to taste and buy gourmet olive oils and dips and pestos. As an expatriate I relate to that feeling. It doesn’t matter which country you’re working in. 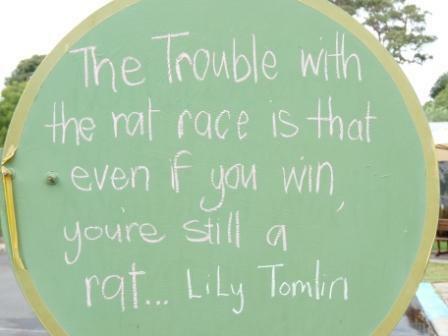 Sometimes we do yearn for a simple life of country lanes, sheep, cows and green meadows. 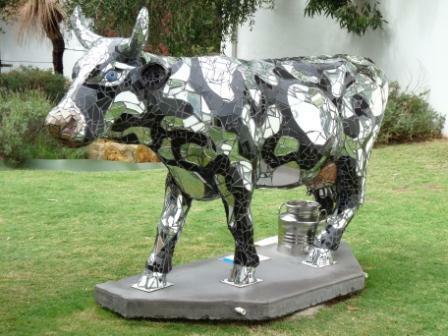 We found a cow today, he’s in the garden at Olio Bello until June – magnificent mosaic CowParade bovine “DisCow”. Which is YOUR favourite CowParade cow?